A fully supported scenario in Exchange is the so-called Resource Forest model. In this scenario there’s an Active Directory account forest where all user accounts and regular services exist, and there’s an Active Directory resource forest where Exchange is installed. This scenario is supported for Exchange 2010, Exchange 2013 and Exchange 2016 and I’ve seen this several times at several customers, with several Exchange versions. So, Exchange is installed in the resource forest, and the mailboxes in this Exchange implementation are so-called Linked Mailboxes. The Mailbox here is linked to a user account in the account forest. There’s a user account for the Linked Mailbox in the resource forest, but by design this is a disabled account. I must agree, things can become complicated pretty fast, but it’s a fully supported scenario and in some cases, it can be useful. One of my customers has implemented this scenario because of multiple acquisitions. In my lab environment I’m working with the first scenario. I’ve installed an account forest (accounts.local) and a resource forest (resources.local). 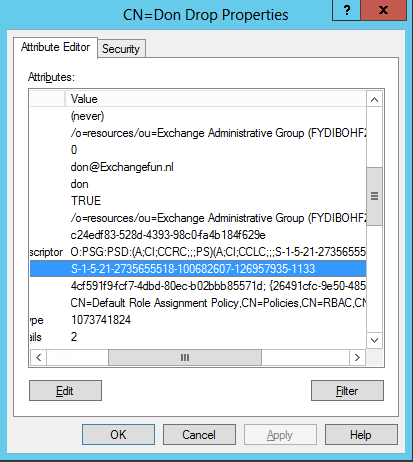 The installed Exchange version is Exchange 2010, there’s one multi-role Exchange 2010 server, and there’s one Exchange 2010 Edge Transport server. Both servers are running Service Pack 3 with Rollup Update 20. Accounts are created in the account forest, and a linked mailbox is created in the resource forest. Every mailbox has a property called msExchangeRecipientTypeDetails, and this tells what kind of mailbox it is. When this property has a value of “2” it is a linked mailbox, if it has a value of “1” it is regular mailbox. An overview of this property and its values can be found in a blog from John Baily on TechNet. Note. 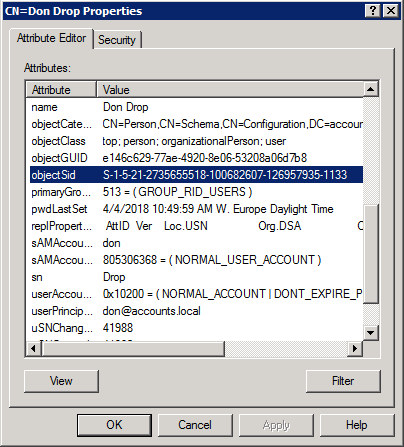 You will see this objectSID and MSExchMasterAccountSid again in the next blog on Azure AD Connect in this scenario. As you can see Don has the appropriate permissions on his mailbox. This will reset the msExchMasterAccountSID, but at the same time changes the value of the msExchRecipientTypeDetails from “2” (linked Mailbox) to “1” (normal Mailbox). So, by now you should know more about the Exchange resource forest model. It is a little more complex than a single forest, single domain model with Exchange installed, but it is a fully supported scenario. And a scenario I see at customers very regularly. In my next blog I will discuss more about Azure AD Connect in this resource forest model. Hey Jaap, great series.. I suspect you mean the sentence “When this property has a value of “2” it is a lined mailbox, if it has a value of “1” it is regular mailbox.” be linked mailbox ?